Most people want to see underdeveloped tags abated. Despite graffiti’s noble origins in rebellion and its evolution into elaborate calligraphy which has set the trends in art and culture for four decades, the mainstream view is that graffiti tagging — the root signatures from this movement — represents an eyesore. Often underdeveloped in its style and unrestricted in its location, these signatures remain burdensome even to those who can appreciate its more elaborate and colorful counterparts. The actual scribbles that are correctly described as “graffiti” have been linked to lower property values, and upheld as proof positive of gang activity and crime in urban inner-city areas. Blight associated with tagging has been addressed by cities for many years through a never-ending “War on Graffiti” which entails painting over anything scrawled in a neighborhood as soon as possible. The city of Oakland’s generally accepted time frame is within approximately 48 hours of notification. There are obvious flaws in this practice, because so many in our communities do not call in these issues immediately. So while the city may respond within 48 hours to a call, the mark in question may been there much longer. Priming a wall one color is an expensive solution that is not an effective deterrent to vandalism. 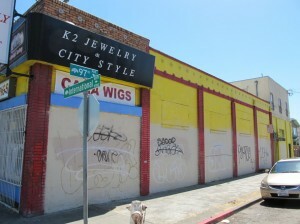 The Oakland’s Redevelopment Agency’s recently announced plan to hire the Men of Valor to abate graffiti in Central City and East Oakland should be commended as a creative approach to dealing with the issue of urban blight. CRP applauds the initiative to create jobs for local residents; in the midst of this massive recession, employment that supports neighborhood improvement should be hailed as a breath of fresh air. However, this approach to graffiti abatement fails to address some of the long-term solutions to urban blight. First, hiring a private organization to provide neighborhood clean-up teams is more band-aid than permanent fix. Second, abatement strategies of simply erasing or buffing graffiti tags have never been proven effective in any longitudinal studies. Simply put, repeatedly painting out graffiti has not proven to make it go away forever. Third, even if tagging temporarily declines due to a diligent ongoing effort, it will return when that concentration lets up. This wall has been legally abated and is still devaluing the neighborhood. There are other problematic aspects to the abatement approach as well. Abatement’s primary obsession with the removal of the signature does not require that the paint on wall match. As a result, walls become an uneven patchwork on miscellaneous tones of the same color. This is because making the paint match requires the entire wall to be painted, which is a far greater cost than the abatement programs can afford. 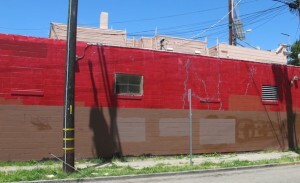 The reality is that blank walls remain a target for repeated vandalism while offering little to the neighborhood in the way of character or identity. So, graffiti abatement programs must continually buff and re-buff the same walls over and over again, hoping to stay one step ahead of the inevitable encroachment of tagging, yet ultimately falling behind due to the high cost of maintaining such efforts over a sustained period. Does patchwork buffing like the example shown here improve the conditions of the neighborhood? While the Oakland Redevelopment Agency is beginning to think outside the box, even more creative and holistic approaches to urban blight reduction could achieve far greater, and more permanent, success. Communities affected by urban blight and graffiti tagging would be better served by a more long-lasting solution which promotes community identity while encouraging the creative expression of inner-city youth. 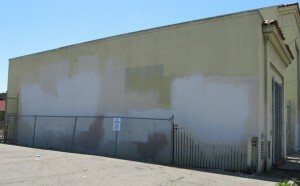 For the past few years, the city’s redevelopment agency has been funding murals in locations in East Oakland it has designated as its most highly blighted – a superior, and yet less-costly, approach to the “graffiti problem.” A logical extension of this program would be to create a vocational training program for youth that utilizes a series of murals to create cultural corridors. A mural helps deter vandalism while helping positively identify the neighborhood. 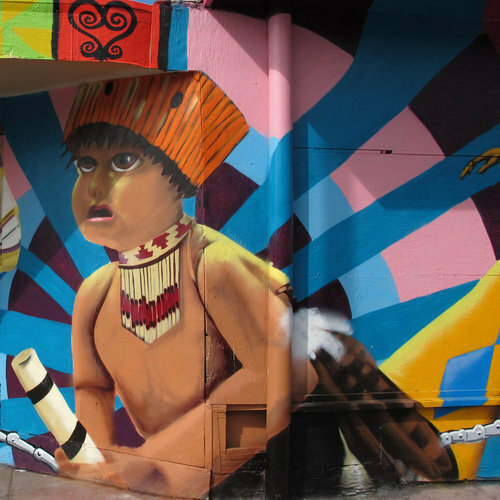 The advantages to such a solution are many: Murals have a much lower rate of recidivist vandalism and their maintenance can be factored into the cost of the program. 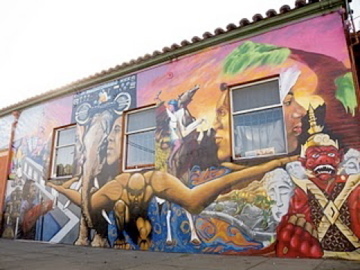 In addition, murals help develop civic pride and preserve a community’s cultural legacy. Furthermore, murals are often used as part of violence reduction and/or community health initiatives which can address specific issues of concern in the community and promote positive messages instead of creating blank walls which will only be tagged and retagged. From a fiscal responsibility standpoint, murals are surprisingly cost-effective. Holistic mural programs could easily be initiated in the same blighted locations as abatement programs for a much lower cost, from one-third to one-half of the total expenditure of the current abatement program. And, partnerships with non-profits already engaged in youth development can bolster comprehensive efforts to reduce youth truancy, violence, crime, and recidivism, while promoting artistic development, and career path training. Murals also send a clear message to taggers that they can contribute positively to their environment, rather than deface it, and can inspire youth to further develop their nascent artistic abilities beyond hastily-scrawled signatures. Murals help maintain the legacy of a neighborhood and remind of its history. This approach not only aligns abatement efforts with ongoing neighborhood improvement efforts by community organizations, but can be an important part of an overall strategy to address the root and underlying causes of urban blight as well as the underlying causes of crime and violence which puts inner-city youth at-risk. Moreover, murals increase property values substantially more than abatement, while requiring less maintenance; so property taxes could easily support the program over time. For all these reasons, it behooves Oakland’s Redevelopment Agency to consider expanding funding for mural programs as part of a smart and comprehensive abatement strategy which not only removes unsightly tagging, but beautifies communities affected by blight at the same time. 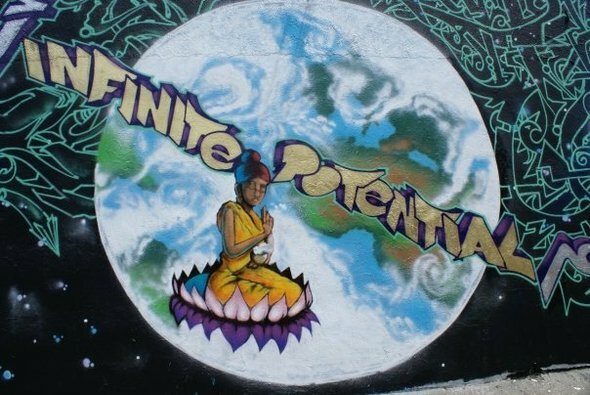 If we use murals as an abatement solution, the potential for our communities is infinite! For more information about the Community Rejuvenation Project, please call Founder and Director, Desi W.O.M.E at (510) 269-7840. I have long held graffiti as art, awayls in amazement at the color, unique style, and almost perfectly crafted lettering (in a language only known to the artist and select others!) as long as there is nothing offensive and it doesn’t damage property, I say let them leave their mark on the world!